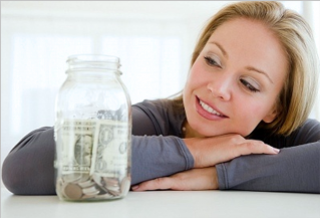 Read on to know about some innovative and enjoyable ways to save dollars. This will help you save good amount of money. Do you think saving money is a boring affair and you have to compromise with your enjoyment if you decide to save a little more every month? On the contrary, money saving can be exciting. Read on to know about some innovative and enjoyable ways to save dollars. Go for grocery shopping when you are in a real hurry - Try to go for grocery shopping when you have to go out for some work or you don't want to miss your favorite show in the television. By doing so, you won't have time to look and get enticed to other items which are not in your list. Purchase generic products instead of branded ones - You can choose at least some of your grocery items from generic store brands instead of buying all branded items. This will help you save good amount of money. Buy grocery items in bulk - Purchasing items in bulk can help you save significant amount. However, before doing so, always check out the expiry dates in order to be sure that you can consume the items within the date as otherwise, you'll lose money. Carry bottled water and home-made snacks for picnic - Instead of buying packaged water, you can save money if you carry bottled water. Also, take out time and make some snacks instead of buying them from the venue. It is also a healthier option to have home-made snacks. Alternatively, you can buy packaged snacks from price clubs. Use grocery store bags to store trash - You can use grocery store bags to store and throw trash. Since such bags are small in comparison to kitchen trash bags, you need to throw your trash almost every day. However, it will also help you avoid stinking kitchens from overflowing trash cans. Do work on your on - You can do some of your work on your own instead of hiring people. For example, it's fun to do minor repair work at home or do your furniture and carpet cleaning all by yourself. Decorating for any party all by yourself is also great fun and a superb way to save money. Go out and jog in the park - Instead of buying expensive membership at the gym, why not take a brisk walk outside or jog at your nearby park. It can be more refreshing to run in the open air. Alternatively, you can buy a treadmill and exercise at your home along with doing yoga and aerobic exercises which help to have a healthy mind, too. Practice re-gifting - It may happen that a gift which you've received is not useful to you, but it may be useful to someone else. So, re-gift items that may be useful the person whom you want to gift. You can make a list of the items that is new but you don't need and keep them at one place. This will help you select an appropriate gift quickly when you want to gift someone. Most importantly, try to avoid late payments as it may drain out significant amount of money. So, write down the due dates of your credit cards and other loan payments in a sticky paper and paste it right on your kitchen cabinet or refrigerator, so that you can have a look at it every day, and know in advance the due dates of payments.